Hair transplant is revolutionary and globally accepted solution for baldness problem as it gives the life changing results to patients. Due to its wider acceptance, many efforts have been done to refine its results so that people can consider it as the ideal solution for hair loss without any fear. In last decade , many new methods have been introduced that are far better than the past scarring and weird look giving hair transplants, one such advancement is the DHT procedure which is called direct hair transplant procedure. DHT is the latest contribution in the field of hair restoration, which is faster and painless technique than the other procedures. Direct hair transplant is the new technique in which modern methods are used to extract and implant the single hair follicle at a time to reduce the potential risks involved in other invasive procedures. Specialized tools are used for standardized implantation so that hair can be transplanted in the manner that has no risk and even will give uniform look to natural hair. DHT technique works on the simple principle that is single strand to be extracted and transplanted. In this technique DHT specialist Dr. Mohan take hairs from the stable zone of the head or even sometime from body parts in case if patient does not have sufficient supply of donor hair follicles. 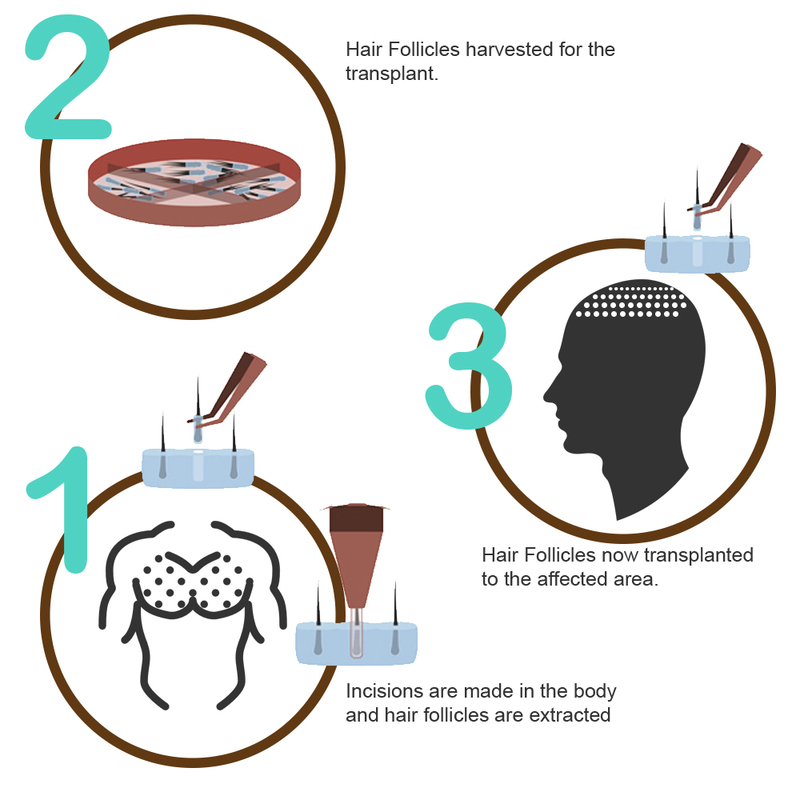 Loss resistant donor hair follicles are kept in saline solution to ensure their long life after transplantation. After that hair follicles are implanted in bald or hair shedding area of scalp. DHT technique is ideal for the candidates that have sufficient supply of hair follicles either on head or on body parts. However this technique is not suitable for the patients that have different texture of hair on body parts. This surgery is non invasive so you can be assured for no side effects after the DHT surgery. However after surgery you may experience mild swelling on donor and treated areas but it is normal and fade away automatically after some days. However the patients can resume their daily activities after some days of their surgery without ant difficulty but they are asked to have some precautions for few days to eradicate any chance for infection or side effects after the procedure. Patients are strictly asked not to consume alcohol and do smoking for two weeks as these can slower the recovery process and reduce the after benefits. Direct hair transplant is the technique of extracting and implanting strand by strand so it lowers down the many risks and enhance the benefits of hair transplantation for the candidates of DHT. Hair Transplantation in Jalandhar, Punjab has been done with most advanced instruments and techniques give many advantages to patients and help to retain their smile for life after surgery.